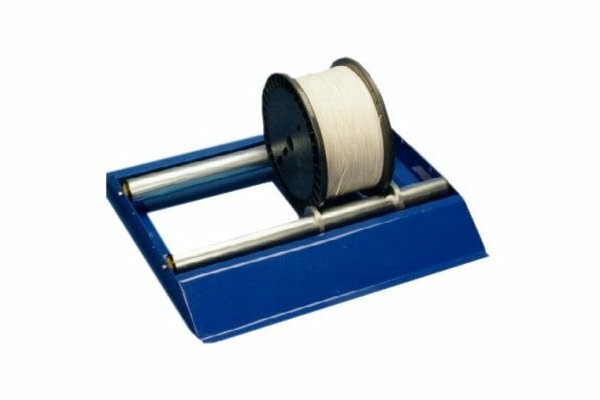 The DE320 Cable Reel Holder and Dispenser is a floor or bench mounted frame for storing and dispensing reels of cable. 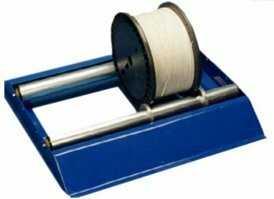 It is ideal for warehouse use or as part of a dereeling system for cable and wire preparation equipment. Cable clamps on the rollers stop the reel moving or jumping. Increased drum weight capacity is available on application. This modular product allows expansion for wider and heavier cable drums. Spring loaded adjustable rollers for different drum diameters. Locking metal rings preventing sideways movement. Ergonomic design for easy roll on, roll off cable drum facility. Light weight construction for ease of mobility. Can be stacked side by side to double load capacity. Made from top quality steel & powder coated.